SiO Digital is an Ai powered SEO company focusing on keywords analytics and organic search tactics to generate high quality leads for your business. The core of our lead generation services is data and predictive analysis. Our performance is the result of meticulous programs crafted around your target audience, search engine optimization strategies and your ROI. A consultation destined to understand your target, goals, current strategies and any issues you identified and/or are experiencing with your organic visibility. Analytics tell us how users search and consume content so we can optimize your keywords ranking across all devices. This stage surveys your competitors’ websites, traffic and organic ranking status on the keywords you are tracking or want to rank for. With our comprehensive suite of SEO tools, we can find exactly what and how consumers are searching and how the market responds to them. To help you rank faster and reach the 1st page of Google, we turn to SEO software that uses artificial intelligence to prioritize keywords based on potential, current ranking, difficulty, ad value and, of course, search volume. We conduct a website audit to identify weaknesses and issues, notably in your website architecture, from page-indexation to structure, coded files, user experience, keywords density and overall site accessibility. Our team also reviews how UX/UI helps users find the content they are searching with minimal friction points. Your website is your #1 lead gen machine, and we make sure to build it with the visitor in mind. Our AI-powered SEO software helps us target high-potential keywords, and delivers actionable insights for 100% on-site optimization. All the content you publish should support your ranking efforts. Following the strategy, we optimize each page based on keywords strategy, internal links and backlinks. In the process, our content marketing team works on optimization and quality. Our SEO audit includes backlink analysis, most importantly the quality of sources that link back to your site. We make sure no spam link will affect your ranking and we generate a strong strategy for link building using white hat SEO. We’ll audit internal linking strength and relevancy to identify linked pages that undermine your SEO health. Internal links are crucial for your organic visibility. We make sure we link everything properly. 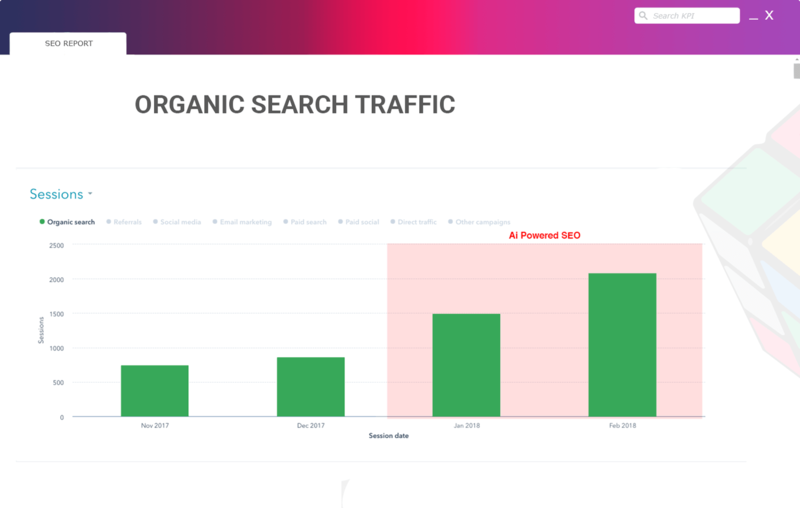 Our unique AI-powered SEO company collects high keyword volumes of data to uncover new opportunities. With our predictive analysis, we can tell you how long and how much work it will take to rank #1 on any given keyword. Link building is the ongoing process to maximize your SEO. We choose quality backlinks over quantity. SiO Digital is a content marketing agency. We’ll create content that both increases visibility and lead conversion. Social content distribution on the right channels is essential to improve reach. Schema markup is a great SEO-boost tactic to help search engines pull your most relevant, informative content for users. Content clusters (or content silos) are a series of content pieces built around a pillar. We use clusters to support SEO and augment content value. Analytics help us understand user behavior. We track ranking and traffic metrics so we never miss a chance to improve. All our tactics and strategies focus on conversion rate optimization, from stranger to lead to customer. Inbound marketing is the most user-centric lead gen methodology. We keep optimizing to deliver the ultimate user experience throughout. SiO Digital offers you a one-month trial on the keyword of your choice. In that short period, we’ll use AI-powered search engine optimization data and insights to increase your website traffic and ranking organically. This is how much your business can grow in 6 months with a Data-Driven Lead Generation Strategy. Why Trust SiO Digital SEO Expertise? SiO Digital is a full-service digital company located in Los Angeles and San Diego specializing in SEO and lead generation, using mathematics and artificial intelligence as a ranking booster. Your business deserves more visibility, more brand awareness, and more customers. We implement data-driven marketing strategies tailored to your audience and your goals. We strongly focus on user-centric techniques so our clients become a valuable resource for users. In the short term, our AI SEO process positions you at the top. In the long term, your organic visibility keeps fattening up and your leads conversion increases. Ready to Make It to the First Page?